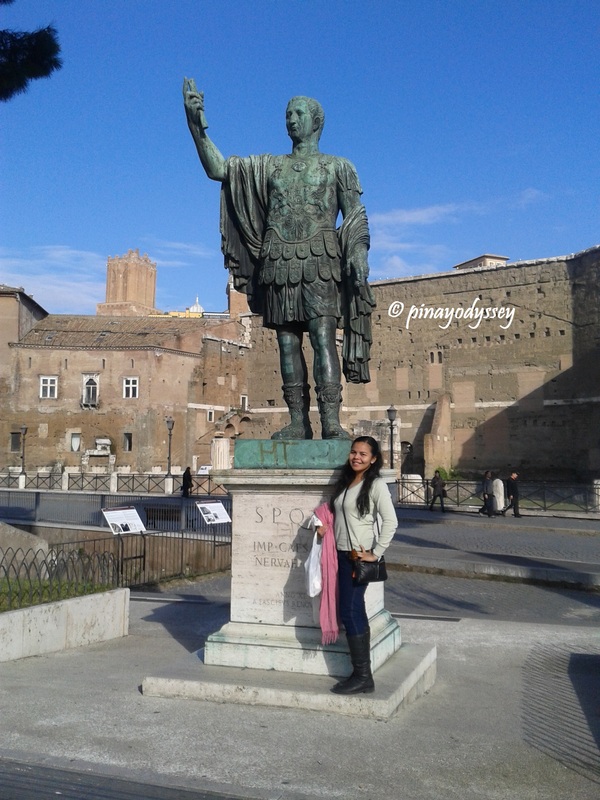 The ancient city of Rome was a dream travel destination ever since the first day I moved to Europe. 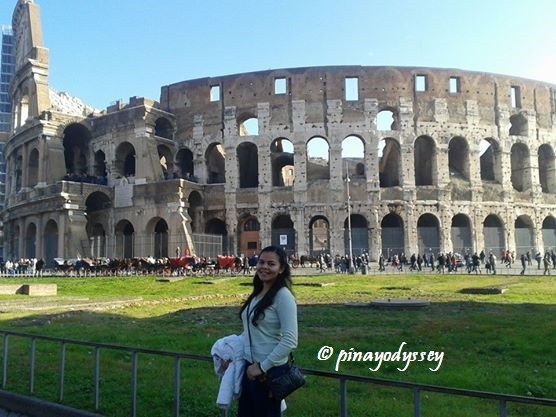 I dreamed of seeing the Colosseum, and of course, the Vatican! 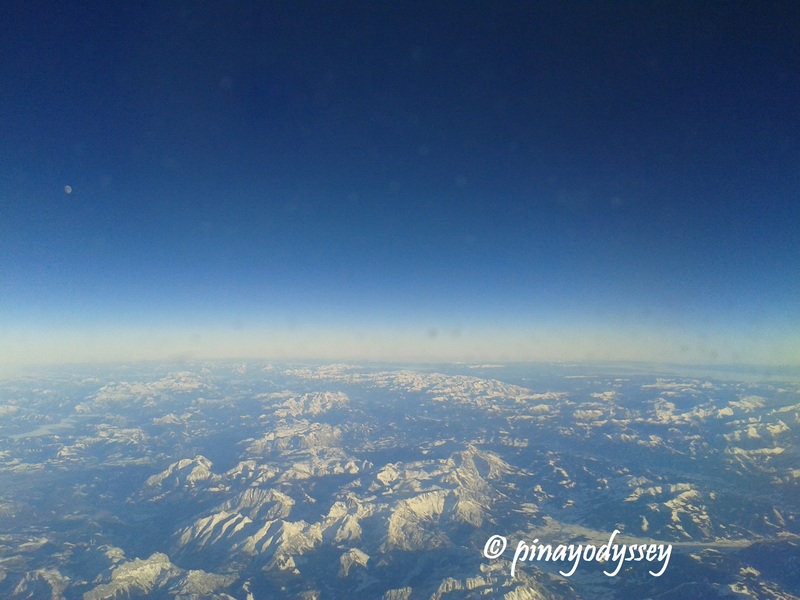 That is why I felt super happy when I finally could tick the place off my list. 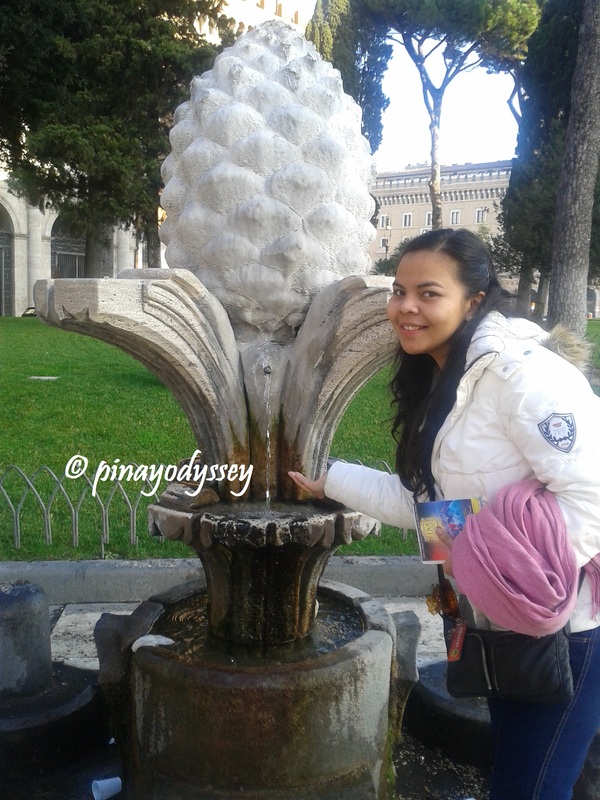 My sisters and I went to Rome to visit my aunt and we stayed there for four beautiful and cold December days. Rome is one of the few places where I felt like I was home. I have no idea why, but the ambiance, the atmosphere, the people — it was like in Manila, like the Philippines. 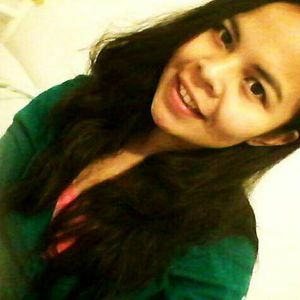 The people are also diverse, and many resemble the Filipinos physically and behaviorally, so yes, mi amore, Rome is the place to be! Interestingly, my bf and watched the movie remake of Ben-hur yesterday and as usual, Rome was portrayed as the mean city trying to occupy Jerusalem in a brutal manner. The movie also focused on Jesus, who lived at the same time as Judah Ben-hur. 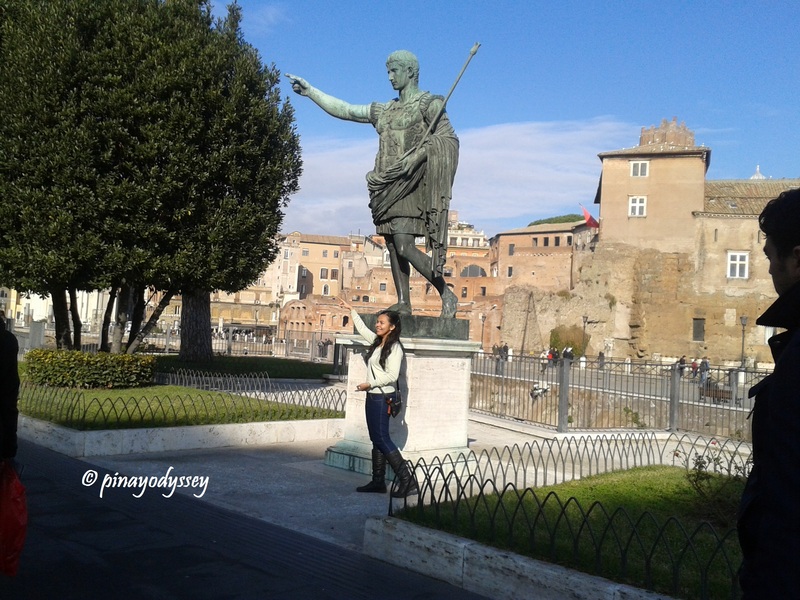 It was a proof that Rome, indeed, was a glorious city way back then, and though its glory has been reduced in the modern day, i.e., no more empires and Roman soldiers, etc., it still attracts millions of visitors, tourists and pilgrims every year. Thanks to the many attractions scattered all over the city — beautiful architecture with cultural and historical value. Our first stop during the walking tour was the Altare della Patria, or Altar of the Fatherland, located at Piazza Venezia. From this spot, all the other landmarks are at a walking distance. 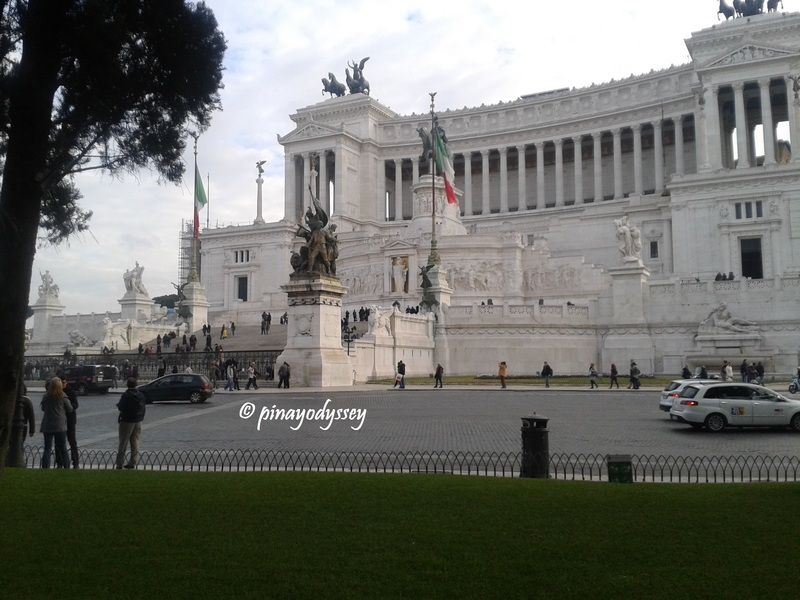 The alter was dedicated to Victor Emmanuel, the first king of a unified Italy. 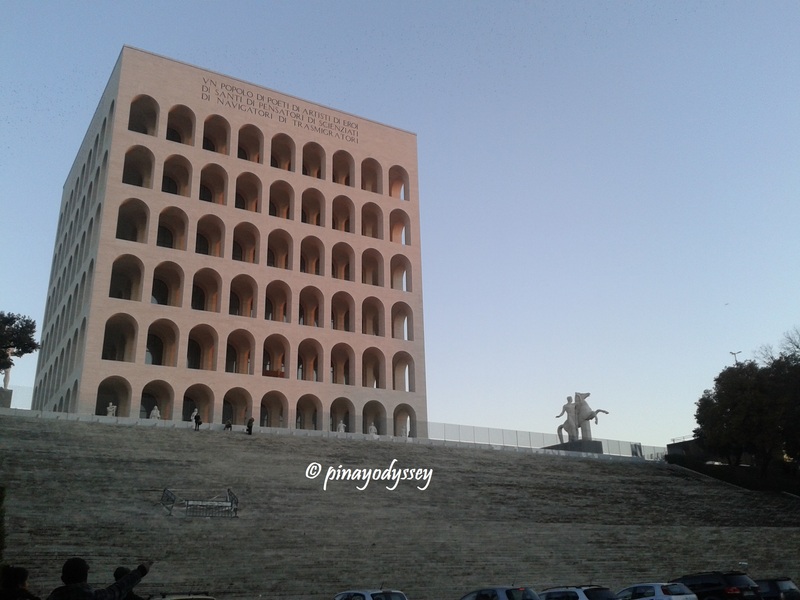 For this reason, the monument is also called Il Vittoriano. Beautiful staircases, Corinthian columns, statues and fountains can also be found. Interestingly, in the monument lies the Tomb of the Unknown Soldier, and hence, utmost respect and appropriate behavior is expected. 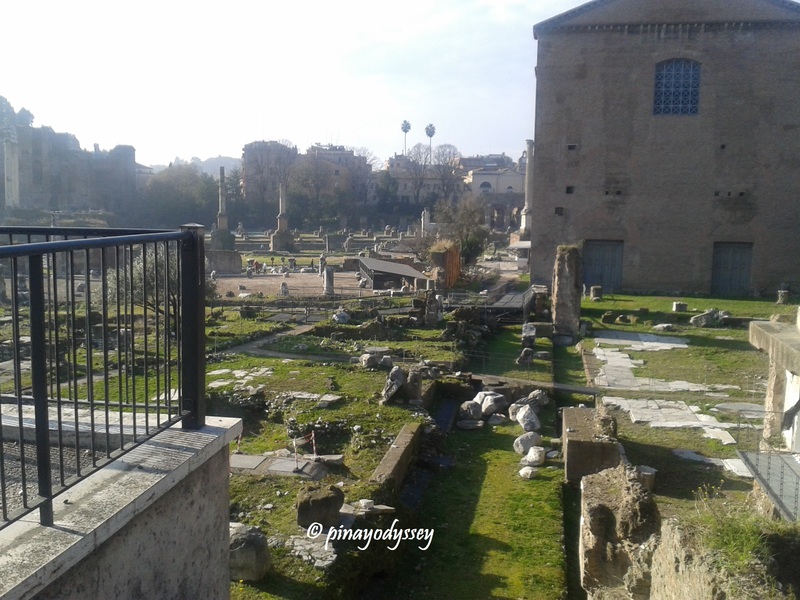 A few steps from Il Vittoriano are ruins of Roman Forums — Foro della Pace, Foro di Nerva and Foro di Cesare. Foro della Pace or the Temple of Peace was built in 71 A. 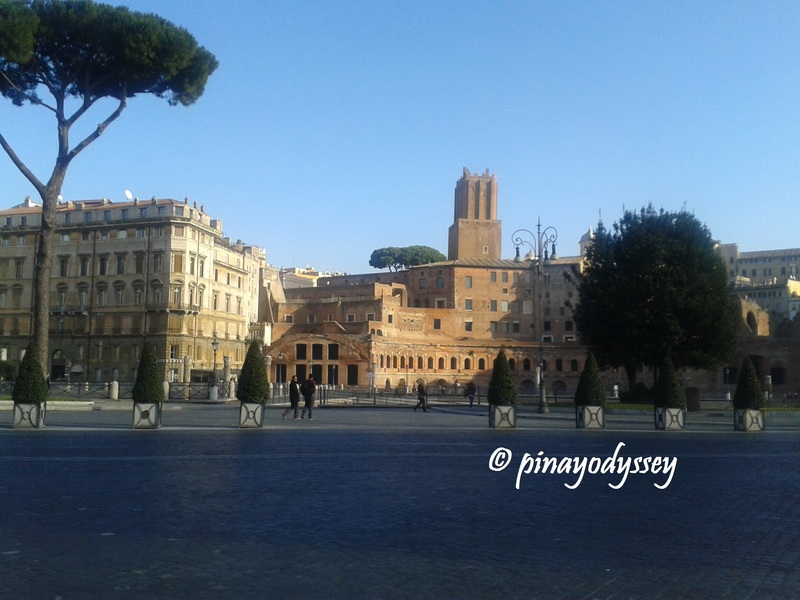 The Foro di Cesare or Forum of Caesar was built by Julius Caesar in 46 BC. 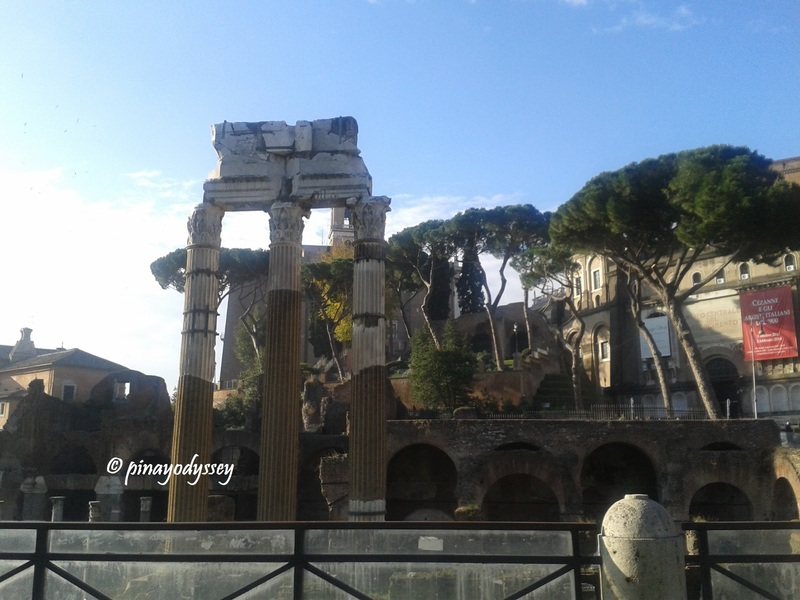 While Foro di Nerva was built from 85-97 AD, making it the latest of the Imperial forums. 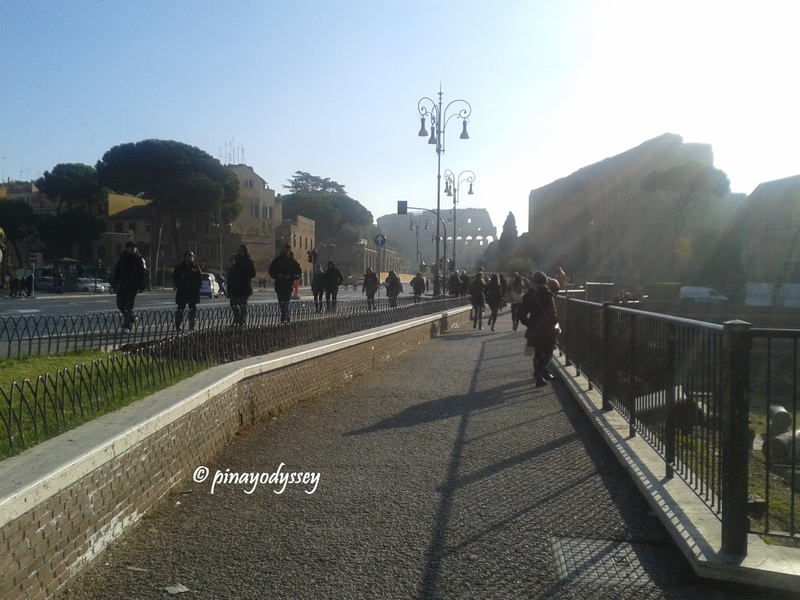 Walking further, we reached the Palatine Hill, which is the centermost of the seven hills of Rome. Did you know that the word palace originated from the name of this hill? 😉 It is also the site where the cave Lupercal was located. According to Roman mythology, a she-wolf found the twins Remus and Romulus on this hill. Later on, the boys were adopted by a shepherd and his wife and raised them, until the two decided to build the city. They had an argument, however, leading Romulus to kill his brother. Rome was named after Romulus. On the hills are many ruins and protected blocks of Roman ancient architecture. These basically accounts for the city being on the UNESCO World Heritage Sites list. 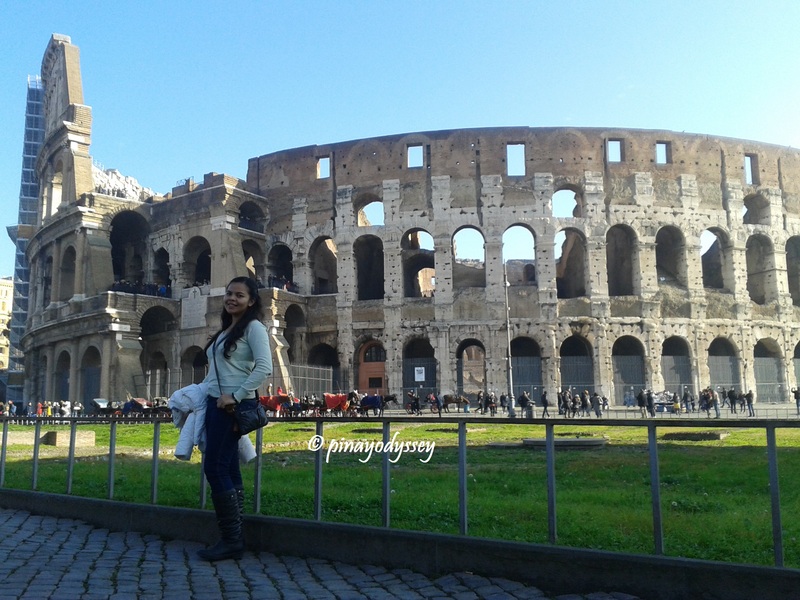 Right beside the hill is probably the most famous landmark of Rome — The Colosseum, aka the Flavian Amphitheater, the largest in the world that was ever built! And it was built of just concrete in sand from 72-80 AD. According to Wikipedia, the theater could hold from 50,000 to 80, 000 spectatorsand was used for Roman sports, like gladiator fights, mock sea battles, executions, animal hunts and of course, theatre performances and reenactments of historical events. 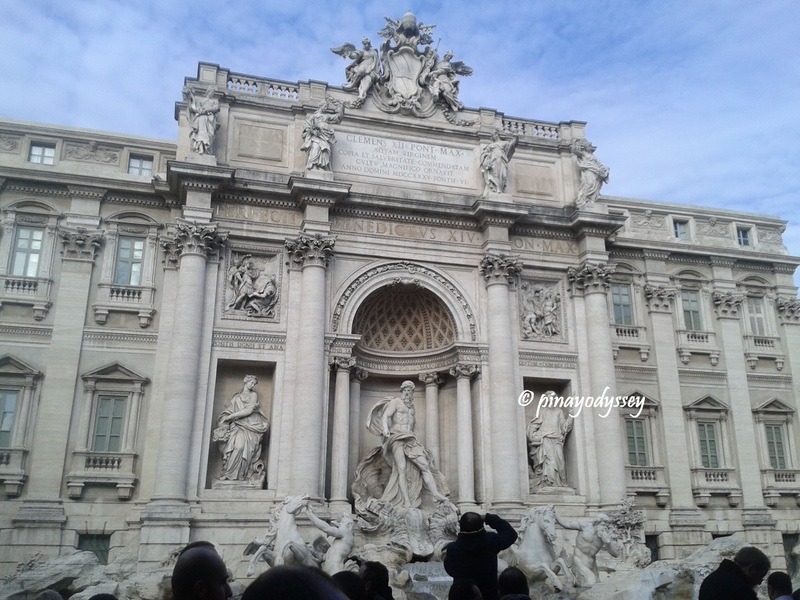 Two other landmarks where people flock in Rome are the Trevi Fountain and the Spanish steps. 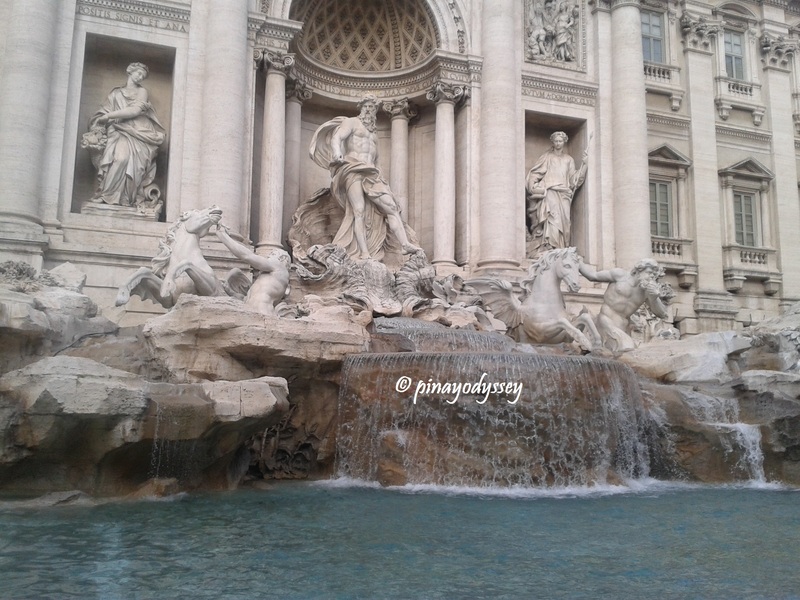 The magnificent Fontana de Trevi was built in 1762, designed by Nicola Salvi and Pietro Bracci. 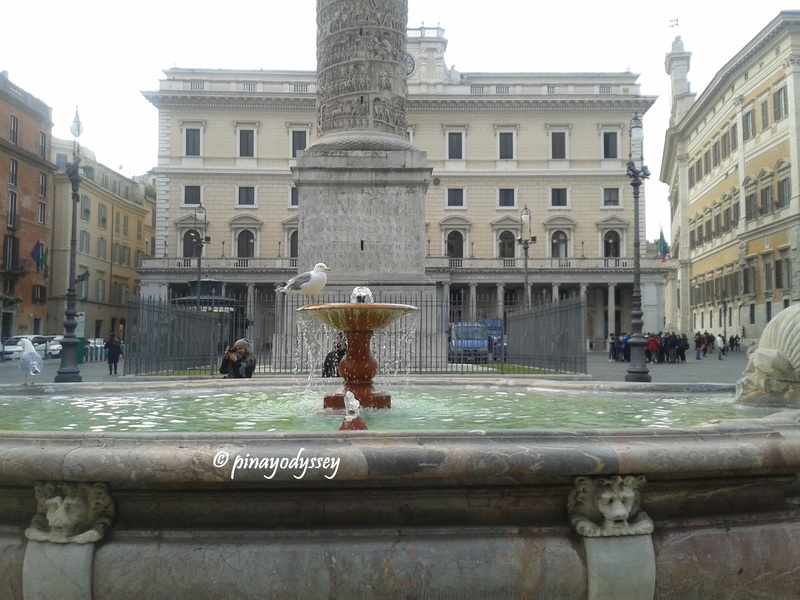 People believe that it is a powerful wishing fountain, and that if your wish comes true, you should go back to Rome. 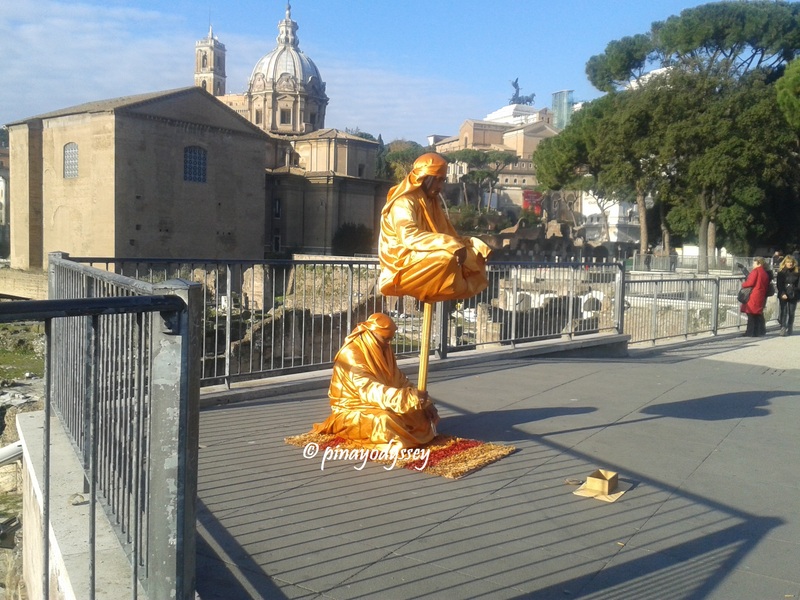 According to sources, around 3000 euros are thrown into the fountain each day. The government uses the money to build a supermarket for the needy. 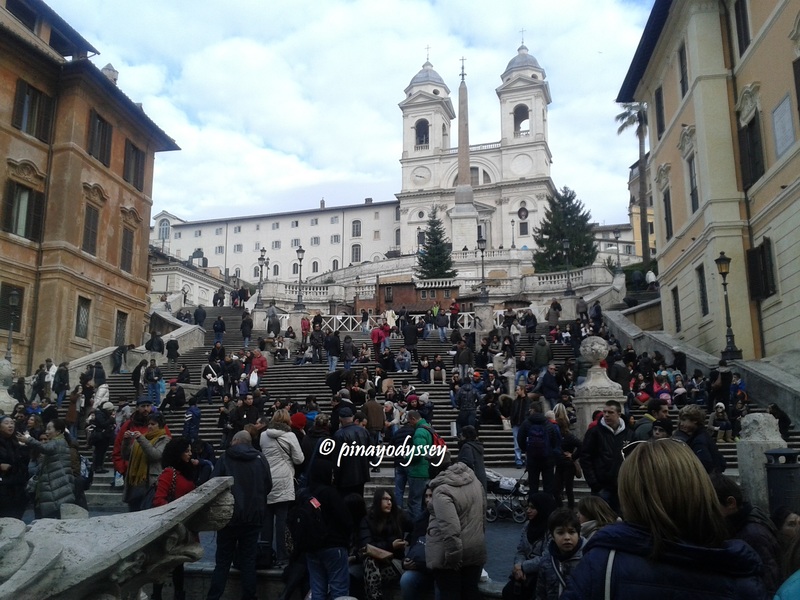 The Spanish Steps, on the other hand, is “a monumental stairway of 135 steps” located in Piazza di Spagna. 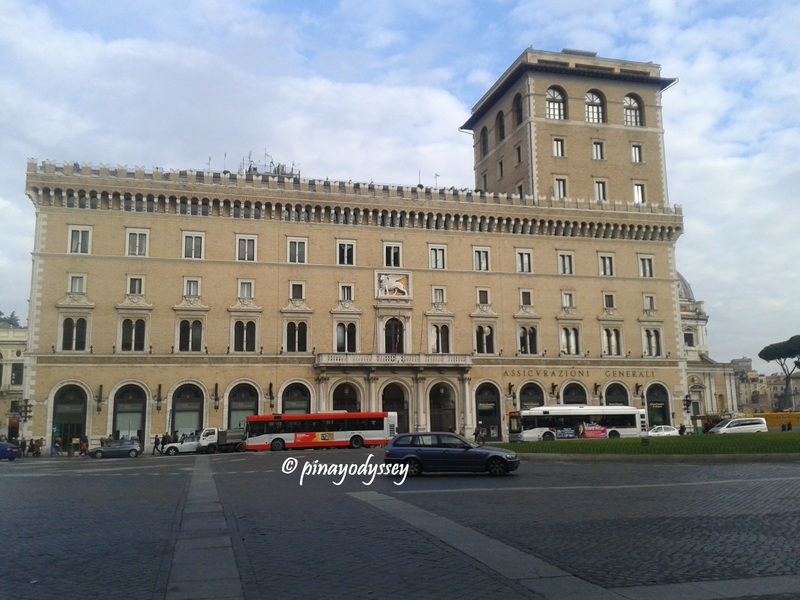 It links the Bourbon Spanish Embassy and the Trinita dei Monti church to the Holy See. this is cool! the pictures are great! it’s interesting how you said that the ambiance is more like manila..makes me wonder why? maybe because there are also many Roman catholics here? how awesome… this is so on my bucket list and I really wish I can go there someday… I have however been to other parts of Europe myself, like Netherlands, Germany, UK, France, Ireland , Denmark and Belgium… but I really want to go to Italy one fine day….. Saw your 16 countries and counting, we’re the same 🙂 It’s 16 countries and counting for me too, it’s just sad that I still haven’t been to Europe yet. 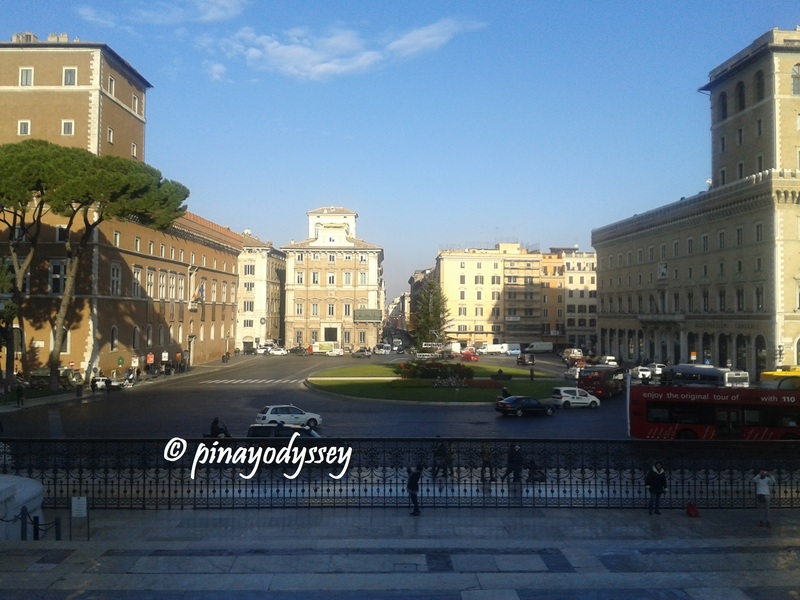 Rome looks really beautiful and it’s good to know from you that the ambiance feels just like the one in Manila. Anyway, I wanted to see that Trevi fountain in person. It really looks stunningly beautiful. 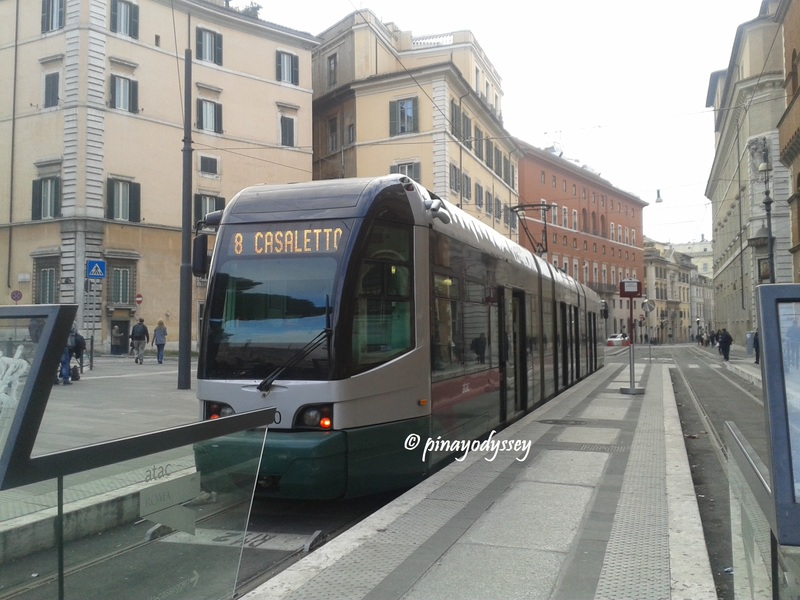 I love the way you describe Rome. The photography is amazing. It makes me wanna go there as soon as possible. I have never given it much thought but I would definitely like to pay a visit to Rome some time soon! Thank you! 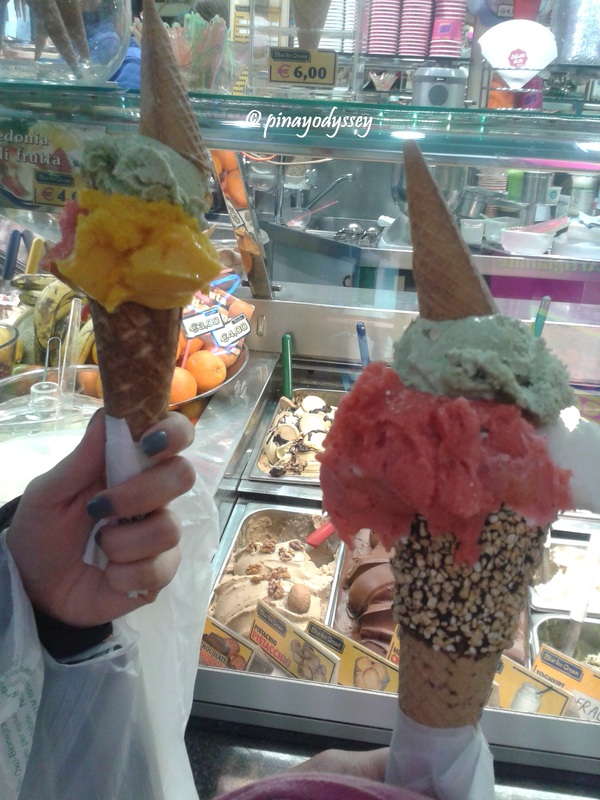 Yes, Rome is definitely worth it!